Would you go to a place just because it has a cool name? I would…and I did! 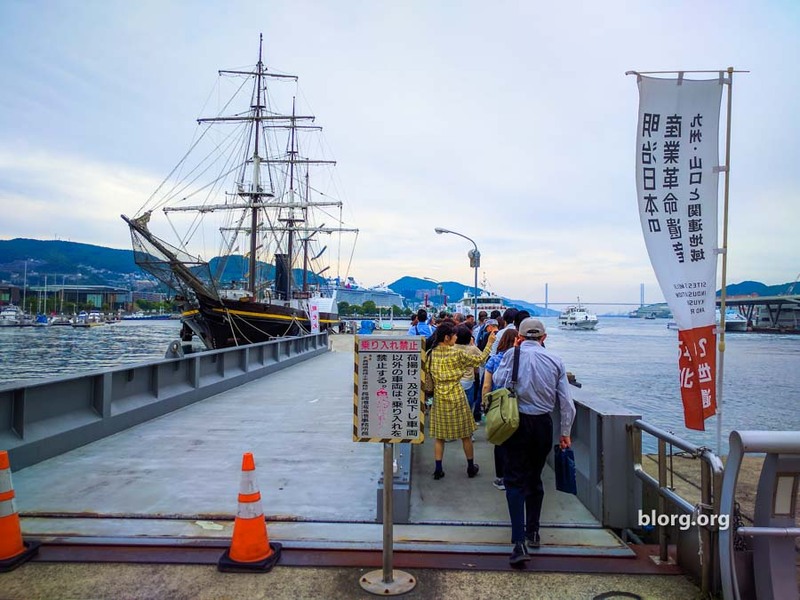 I only went to Nagasaki because I found out about a cool place called “Battleship Island” (Gunkanjima) on Atlas Obscura. It’s well worth the journey, but the first challenge is getting to Nagasaki then getting tickets. Don’t use this site. I made it to the payment page and my credit card didn’t go through. After trying again, I noticed that the site didn’t use a secure page. My credit card info was likely compromised. For safety, I’ll switch to another credit card and inform my bank. Since I’m trying to book this for the same day, I want to get the afternoon tour. I started my journey to the Nagasaki Ferry terminal. When I arrived, I found a booth in English that said “Gunkanjima Tour” and joined an English tour for a total price of 4500JPY. It was a little more than other site, but it was great being able to book something. Before making the purchase, I was required to sign a safety waiver since there was some danger involved. That just made the trip a little more mysterious and exciting. The ferry departed at 1pm from port #7. I get very seasick. Planes, trains and rollercoasters do not give me motion sickness, but being on water does. I’ll never be a pirate. The only way to prevent this issue is to take motion sickness medicine. I went into the mall and found the pharmacy area. There wasn’t much time before the ferry would depart so I had to hurry. With my Google Translate app, I looked up “motion sickness medicine” in Japanese and then asked one of the employees there for it. The purchase was very quick and then I returned to port. They did have motion sickness medicine for adults, but I thought this was way cuter. The ferry would take approximately 40 minutes through rough water. It was rough, but I didn’t get seasick.